If you have just arrived to Sweden or are planning to do so, you should know that there are two words you will hear as soon as you step into the Swedish territory and one that you will read everywhere (although you will learn to love it). “Hej” and “tack” must be the most used words in the Swedish language. The first one sounds something like “hei” and means “hello”, and the second one sounds as it is read (or WRITE?) And means “thank you”. Now, the third word that you will see everywhere, if you pay attention -you guessed it-, it will be FIKA. It is pronounced the same as it is written and would mean “snack”, “bite” and “coffee and cake”, among other things. But, the truth is that fika is much more than that, and in fact the Swedes prefer not to translate it. “Take a fika” or “make a fika” is much more than stopping for coffee (the drink most consumed by Swedes, after water) and eating a cinnamon roll (kanelbulle), for example. It is an excuse to socialize, to get together with friends, colleagues or family and talk. The fika is an important place in the life of the Swedes, so that they have incorporated it into their language in the form of a verb. The Swedes do not say they meet for coffee and conversation, the Swedes use the verb FIKAR. Several times, when trying to define it, I have heard people saying: “Ah! It would be like the 5 o’clock tea! “, But no, not exactly. Fika is a tradition that goes beyond time and place. 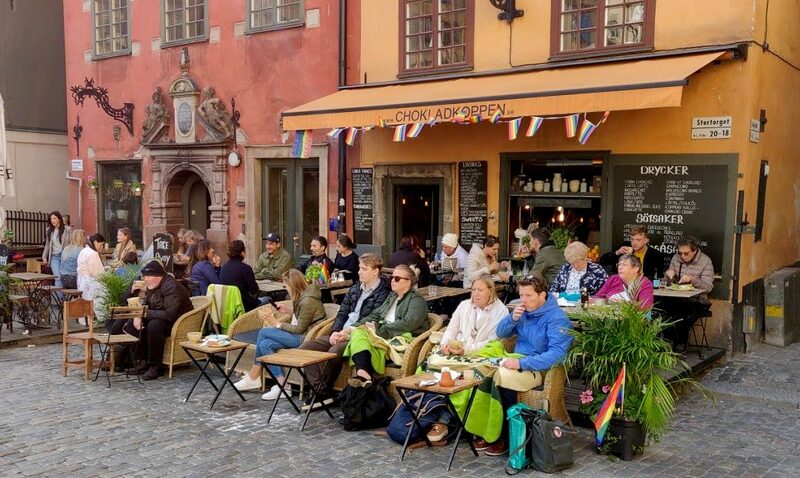 You can “fika” at any time and in any place, with coffee, tea or cold drinks and almost always accompanied by something sweet or ” en macka”, the Swedish way of saying “a sandwich”. Well, I have already warned you: you will love the FIKA as much as I do, as soon as you know the thing about it.